Kate Spencer lost her mom to cancer when she was 27. In The Dead Moms Club, she walks readers through her experience of stumbling through grief and loss, and helps them to get through it, too. This isn't a weepy, sentimental story, but rather a frank, up-front look at what it means to go through gruesome grief and come out on the other side. 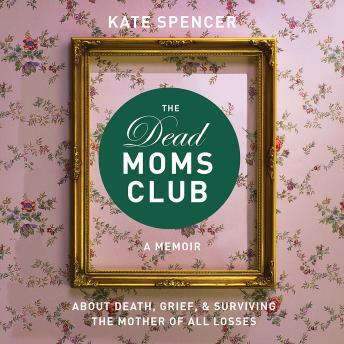 An empathetic read, The Dead Moms Club covers how losing her mother changed nearly everything in her life: both men and women readers who have lost parents or experienced grief of this magnitude will be comforted and consoled. Spencer even concludes each chapter with a cheeky but useful tip for readers (like the 'It's None of Your Business Card' to copy and hand out to nosy strangers asking about your passed loved one). Excellent book from an honestly blunt point of view. Exactly what I needed in the first few weeks after losing my mom.